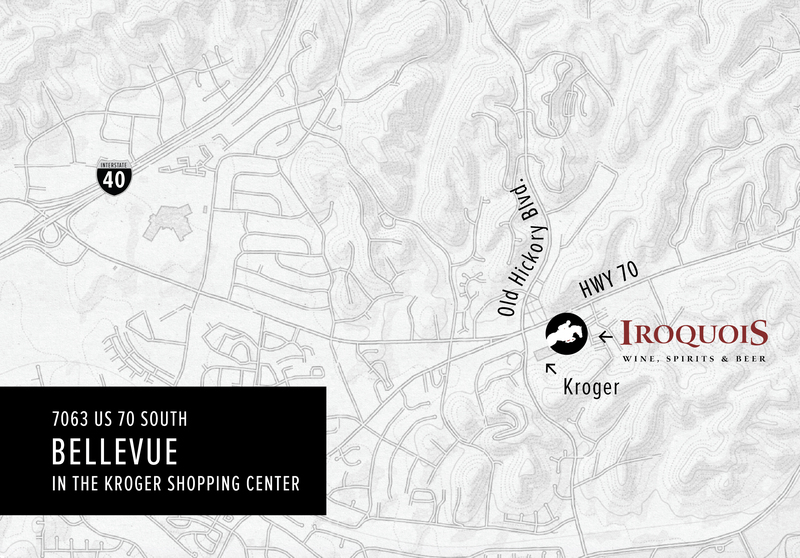 If you’re looking for a neighborhood store with warehouse size and inventory, visit Iroquois Wine and Spirits in the Kroger shopping center in Bellevue. Owned and operated by Middle Tennessee natives, Iroquois has a seasoned, friendly, knowledgable staff who live to talk about our 6,000 square feet of wine, craft beers and spirits. With our vast selection of local and international tastes, we have all the brands you know, and all the brands you need to know. So stop by any time and talk to someone in the Iroquois family today.